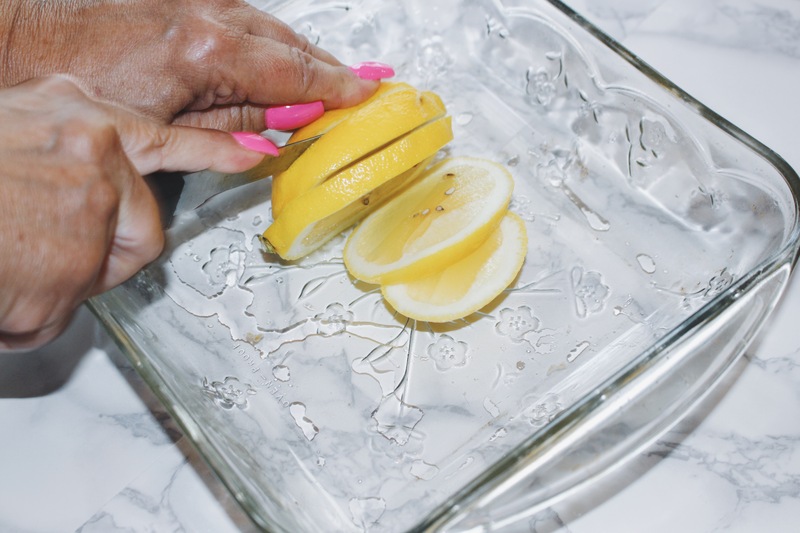 Cut your lemon into slices and squeeze juice into dish. Then put lemons into a cup until used again later. Prep your chicken. I had to slice my chicken in half and cut off the fat. Once prepped place into dish. Cut your garlic into cloves as many as you want. 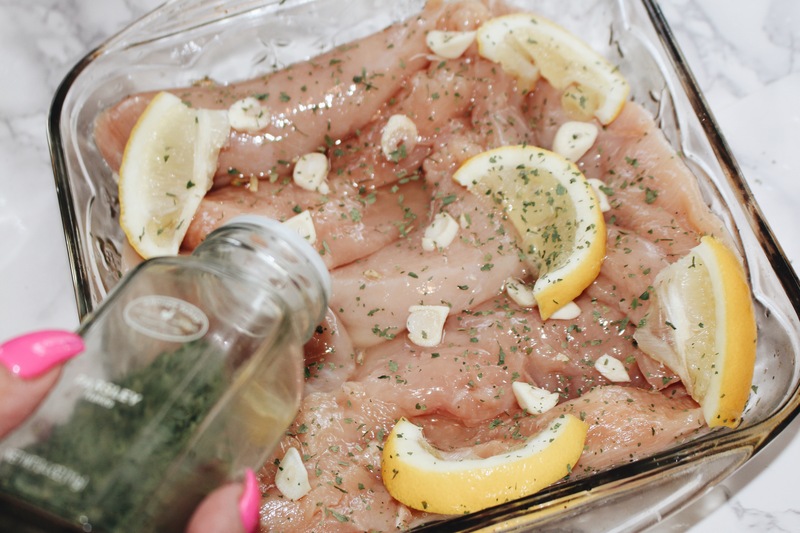 Place cloves of garlic on the chicken. 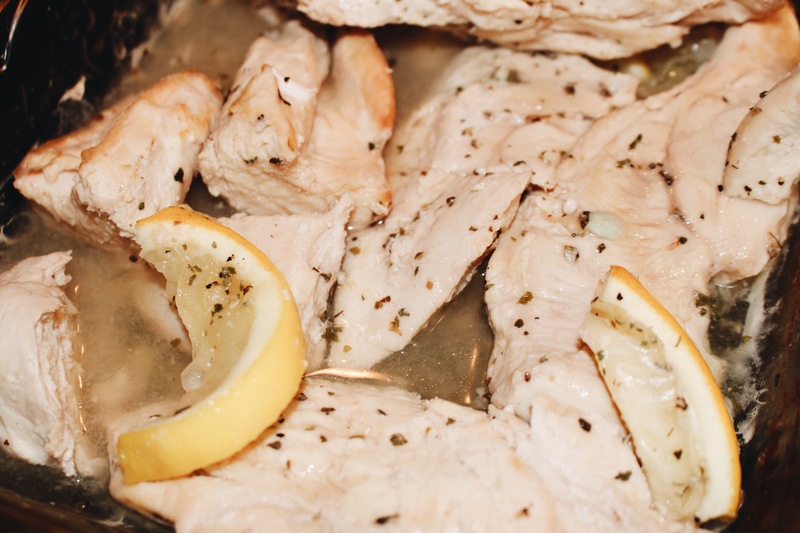 Add your lemon slices and remaining ingredients (parsley, basil & lemon pepper) to the chicken. 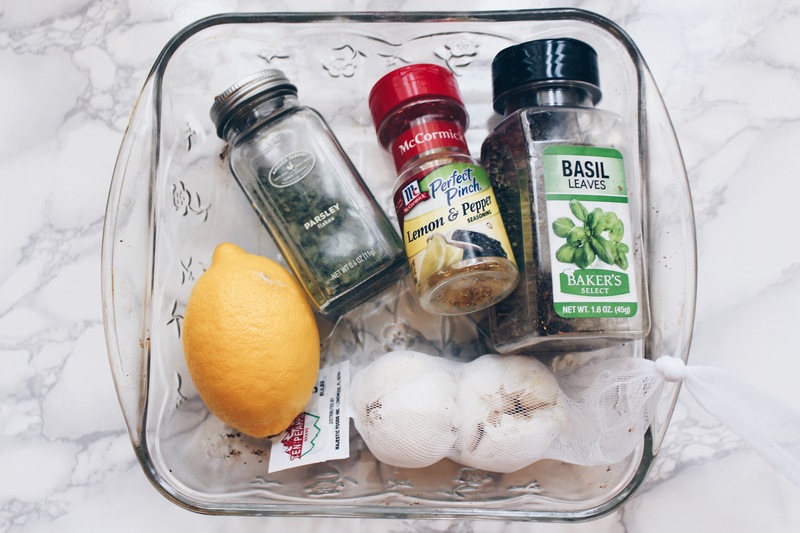 For seasoning add as much as you desire. I don’t measure how much I add; I just sprinkle it on until I think it’s enough. Once fully prepared, you can place your chicken into the oven. Bake the chicken for 40 minutes total, 20 minutes on each side. Do this by timing 20 minutes and then flipping the chicken over for another 20 minutes. 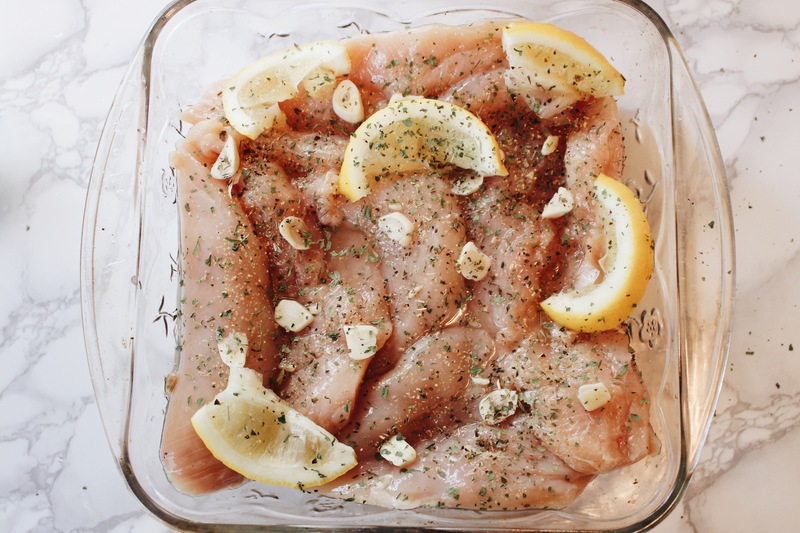 Once 40 minutes is up, take a knife and cut the chicken in half to ensure it is cooked all throughout. This dish is so delicious and really packed with flavor! I like to eat this dish with vegetables on the side like steamed broccoli, asparagus or brussel sprouts. 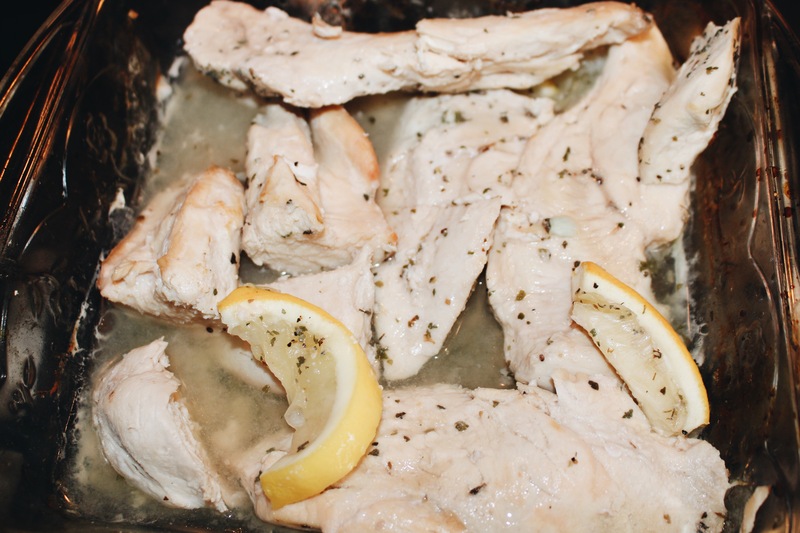 The chicken is even great the next day to add into salads, which is what I always do! I hope you enjoyed this recipe! Have fun cooking this amazing summer dish! Yummy! I’m going to make this next week.